Celebrating Advances of Our Profession! 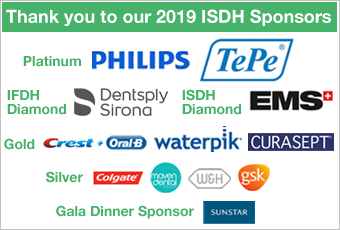 The IFDH looks forward to celebrating the advances of the profession at its International Symposium on Dental Hygiene (ISDH), August 15-17, 2019 at the Brisbane Convention & Exhibition Centre in Brisbane, Australia. All dental hygienists are invited to participate in the lively oral sessions centered around the theme LEAD, through Leadership, Empowerment, Advances and Diversity. Dental hygiene experts and inter-professional colleagues, representing international speakers from South Africa, Europe, Canada, United States and Australia will challenge, inspire and motivate throughout each day. In addition, 94 professionals from around the globe will share their latest research during the poster sessions. You don't want to miss this meeting designed specifically for dental hygienists. Early bird registration continues through March 31, 2019. View the Program at a glance. 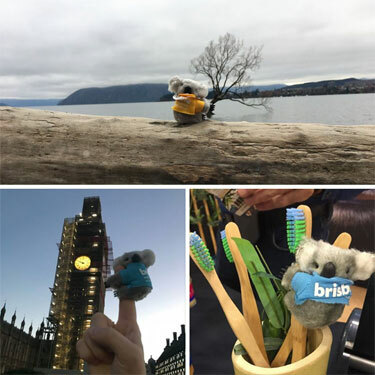 A very successful conference on Social Responsibility was held in Florence, Italy in the summer of 2017 and the participants are coming to Brisbane, Australia this summer to share their continued work in helping others. On Friday afternoon at ISDH, we will showcase at least 12 countries' programs in reaching out to those with limited access to oral health care. 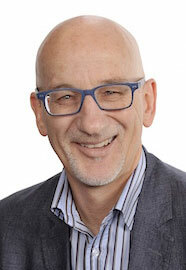 Leading off the seminar will be a renowned researcher and Professor, Murray Thomson, from New Zealand. Professor Thomson is head of the Department of oral Sciences at The University of Otago in Dunedin, New Zealand . He is an experienced dental researcher and specialist in dental public health. His research falls into the four categories of: Life-course epidemiology and longitudinal research, Periodontal epidemiology and risk factors , Gerodontological research, and Dental public health and health services research. Not Sure What to Expect at the ISDH? SAVE: Early Bird Registration Closes on March 31! Watch the video on Brisbane! Go to www.ISDH2019.com for more details. The IFDH Board of Directors participated in a full day of Strategic Planning led by Executive Director Peter Anas and his firm Anas Marketing & Management. Many issues were discussed resulting in multiple new strategies developed to continue to improve and grow IFDH. The Strategic Plan will be unveiled at the HOD Brisbane. Helpful in the discussion were the results of an online member survey. Thank you to Robyn, Corrie, Wanda, Mary-Rose, Michaela and Peter for all your hard work. 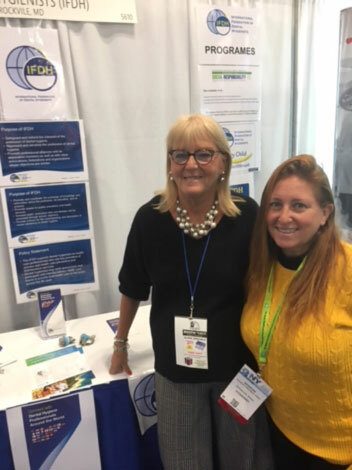 Mary Rose Pincelli, IFDH Treasurer (left), represented the Federation at both the Greater New York Dental Meeting and AEEDC in Dubai, to promote both the IFDH and the International Symposium in August 2019 in Brisbane, Australia. A surprise visit in New York by Sharon Friedman, the IFDH delegate from Israel. 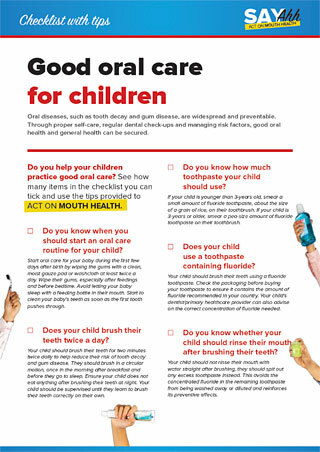 For those inspired to improve the oral health of children, the IFDH "Every Child has a Toothbrush" campaign was designed to teach children how to use a toothbrush effectively so they can better control biofilm and reduce the risk of tooth decay. Our new, remodeled program will not vary from this direction. IFDH is currently working with Curasept to fine-tune the details and promote this program globally, to make it easier for Hygienists to participate. The IFDH and Curasept are making it possible for up to 20 Hygienists from around the world to partake in this program. Toothbrushes and other materials will be given to assist them in their project. For information as to how to participate please go to www.ifdh.org. More details coming soon! IFDH 2018 Webinar a Success! Almost 4,000 participants worldwide viewed the IFDH webinar recently. Thank you to Su-yan Barrow RDH, MA, MPH, PhD, of University of Melbourne Australia. 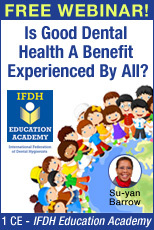 Her topic "Is Good Dental health a Benefit Experienced by All?" was very well received. She addressed the main issue of "As dental professionals what can we do to address the oral health needs of diverse population groups." The webinar will be accessible online for the next year. IFDH President Elect Corrie Jongbloed-Zoet (in photo, back row, far left) participated in the Global Expert Panel of the Alliance for a Cavity-Free Future (ACFF) at their annual meeting recently held in Washington D.C. The ACFF is an international non-profit organisation targeted towards increasing awareness of, and reducing the global burden of dental caries. The Panel is made up of representatives from around the world. 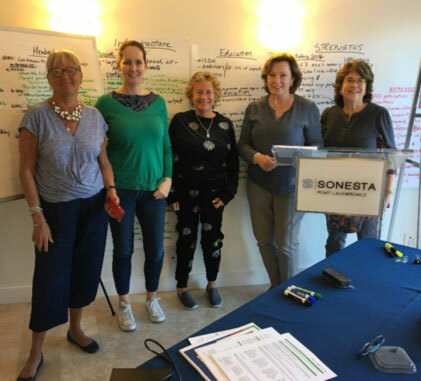 The IFDH, a member of the panel for the last three years, offered the invaluable insight of hygienists into the strategic outlook of the organisation. "The ACFF is hugely grateful for the continued support of the IFDH" said Cat Mayne, Global Manager of the ACFF, "and we are excited to continue to build and strengthen our relationship and networks, working together to ensure the voice of the dental hygienists is heard loud and clear in the battle against caries." The World Dental Hygiene Awards by the Sunstar Foundation will present at the IFDH Gala Dinner the winners in these 4 categories. The deadline for applications has closed. A new year in Australia means New Graduates! The DHAA are pleased to welcome the newly graduated Dental Hygienists and Oral Health Therapists to our profession, and especially pleased that we are able to offer awards for excellence to some outstanding clinicians. We are looking forward to welcoming many of you to the ISDH, hosted here in Brisbane in August. We are planning an amazing Symposium for you, and can't wait to show you our beautiful country. 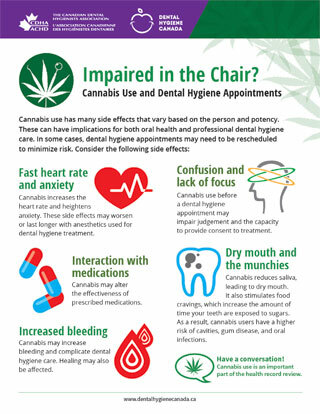 With the recent legalization of cannabis in Canada, many dental hygienists have been asking about the impact of cannabis on the dental hygiene process of care. Cannabis use has many side effects that vary based on the person and potency. These can have implications for both oral health and dental hygiene treatment. CDHA is pleased to offer several resources on this subject, including a quick and easy-to-read information sheet available for downloading and printing, and an article in the current issue of Oh Canada! magazine on consent and the process of care. On January 30, CDHA released a webinar on cannabis, sponsored by PHILIPS. It is of great importance for the Danish Dental Hygienists to work continuously to ensure a healthy psychological work environment to ensure job satisfaction and well-being in the workplace for the dental hygienists. In recent years the Danish Dental Hygienists have been contacted by dental hygienists who feel a growing pressure from the employers regarding their work performance. The Danish Dental Hygienists have lately participated in a huge survey conducted by our Trade Union Confederation which shows that unfortunately there are problems at the workplaces that needs further attention. The area of psychological work environment will therefore be a priority in 2019. January 1, 2019 was not only the first day in the new year, it was also the day where the new Danish Trade Union Confederation, called "Fagbevaegelsens Hovedorganisation - FH" was launched. The Danish Dental Hygienists were a member organization of FTF. The aim of FH is to contribute to a society that focuses more on solidarity and democracy, and in which everyone has the opportunity to get an education and good and healthy jobs in order to provide for themselves and their families. Recently the Federation of Indian Dental Hygienists' Association (FIDHA) received a "No Objection Certificate" from the Government of India and Official Registration has been achieved. On December 1, 2018 the very first and foremost National Meeting at Lucknow, Capital of Uttar Pradesh, concluded with the esteemed presence of nationwide dental hygienists and with grand success. The moto of the First National Meeting is "Importance of Oral Hygiene and the Role of Prevention in Healthy Oral Care." At the Annual Conference of the IDHA in November 2018, Rebecca Hinds RDH was awarded the IDHA Kin Dental Hygienist of the Year 2018 on the development of her leaflet entitled 'Autism Caring for Your Childs Dental Health'. The IDHA is awaiting on the new National Oral Health policy from the Department of Health which we hope will be focused on prevention and expanding the entitlements of patients to preventative treatments. The ISDH Brisbane will see Ireland host a welcome stand in the exhibition area, so please come and visit us! The IDHA has begun a campaign encouraging anyone who has experienced harassment or abuse either by employers, coworkers or patients to contact the law offices employed by the association. We recently enjoyed several interesting lectures in collaboration with several drug and dental supply companies held throughout the country. These lectures help us fulfill our continuing education requirements which to date consist of 24 hours annually. This February, the IDHA has invited graduates of the last three years to attend an evening of food and lectures to introduce them to the many aspects and benefits of our association. We will mark International Women's Day with the theme of health and sport by running as a group in the Winner Jerusalem marathon followed by brunch and of course a lecture. 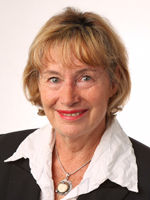 It is very exciting to report that Rachel Smith RDH has been appointed by the NZDHA executive as the 2nd House of Delegates representative for New Zealand. Rachel brings a wealth of experience and clinical experience along with leadership skill and overseas volunteering experience. Speaking Spanish fluently will aid Rachel's communication skill with the international community. Of course, Rachel is very excited to be attending HOD in Brisbane, Australia and looks forward to the challenges of helping the IFDH board. 2019 is bringing us an exciting year ahead with our own NZDHA conference combined yet again with NZDOHTA, on the 3rd and 4th of May 2019 in Auckland New Zealand. The theme is Waves of Change - Navigating to Excellence. This conference date has been moved forward to allow delegates the opportunity to attend ISDH, in Brisbane Australia. In December the public progress in priority in the field of municipal health and care services, and in the field of public dental service, became public. Preventive health work is to be prioritized in this official document. 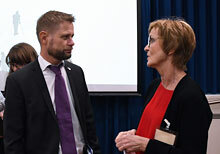 Hilde Aga (right), the president of the Norwegian Dental Hygiene Association, took the opportunity to communicate with the Minister in Health. 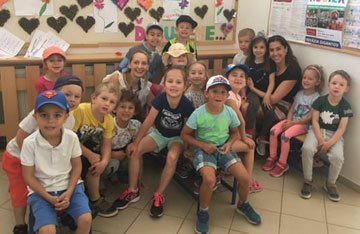 The association of Dental Hygienist in the Slovak republic have been working on their project Generation without Tooth Decay and visiting nursing homes to promote social responsibility programs. The International Journal of Dental Hygiene provides readers with an excellent opportunity to access information before it appears in scheduled publications. By accessing the 'Early View' option, readers can enjoy an insight to content for education and professional development prior to publication dates. The U.S. job market is looking good. Unemployment is near a 50-year low, and wages are even starting to rise after remaining stubbornly stagnant for years. But some career tracks lead to a more prosperous future than others. Starting with a list of 773 popular occupations, the list was narrowed to 30 of the most promising professions by focusing on fields that are collecting generous paychecks now and are projected to expand greatly over the next decade. Dental Hygienist reached #11 on this list. More information and campaign resources will be made available on a regular basis, so bookmark this page and come back soon. 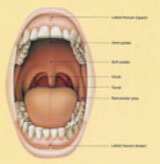 Oral diseases, such as tooth decay and gum disease, are widespread and preventable. Through proper self-care, regular dental check-ups and managing risk factors, good oral health and general health can be secured. Available in 3 languages. A recent study published in Science Advances has periodontists encouraging patients to maintain gum health in an effort to reduce their Alzheimer’s disease risk. 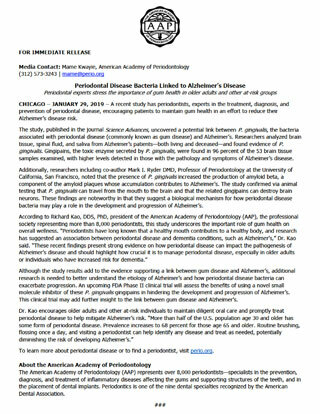 There is a press release that details the study, and includes comments from the American Academy of Periodontology. A persistent sore throat combined with shortness of breath, problems swallowing or earache is a greater warning sign of laryngeal cancer than hoarseness alone, new research concludes. This could help identify patients with early-stage pancreatic cancer - Differences in the abundance of certain bacteria living on the tongue can distinguish patients with early pancreatic cancers from healthy individuals, according to results from a new study. 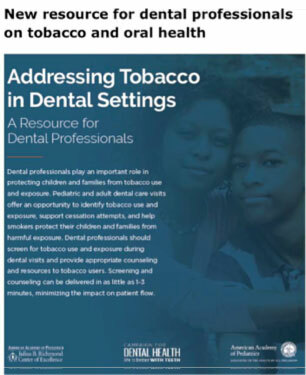 The dental visit is an important opportunity to screen for tobacco use and exposure and deliver a consistent message about cessation and protecting children and families from tobacco exposure. See a new resource from the American Academy of Pediatrics. 100 South Washington St., Rockville MD 20850 USA.